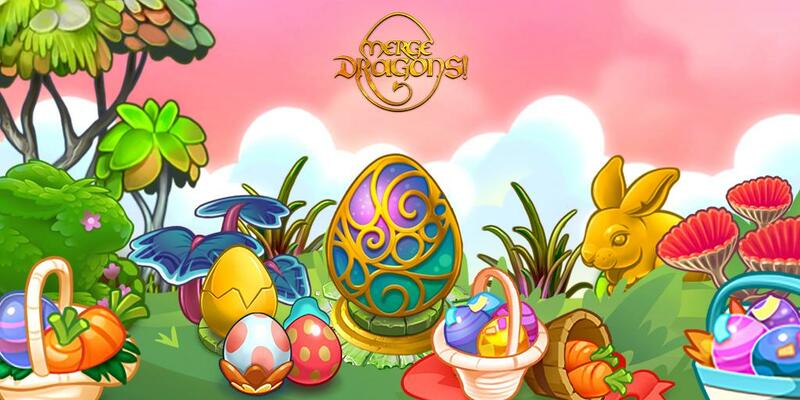 London – April 11, 2019 – Today, leading mobile game developer Gram Games™ Studio announced a limited time Easter Event for its hit puzzle adventure game, Merge Dragons!™. From April 12-15, players get to uncover a cloud-covered level to reveal a very special bunny as they aim to collect and grow bunny dragons, eggs and other prizes that can be taken back to their camp. Merge Dragons! lets players heal a magical land, harness the power of dragons, and solve fun puzzles as they build their camp to grow dragons. It is a game where everything — dragon eggs, trees, treasures, stars, magical flowers and dragons themselves — can be matched and merged to produce unique artifacts and skills. Everything interacts and helps players overcome magical, mysterious puzzles. Gram Games is a subsidiary of Zynga Inc. and has a current portfolio of 10 live games, which have collectively been downloaded more than 230 million times – including the hugely popular Merge Dragons! and 1010!™. Download Merge Dragons! for free from the Apple App Store, Google Play and Amazon. Gram Games is a mobile game development studio, committed to delivering high quality social games that create real bonds through play. Founded in 2012, and recently acquired by Zynga in 2018, Gram Games has built a team of industry professionals focused on creating engaging games for mobile platforms in their London and Istanbul studios – including 1010! and Merge Dragons! For more information, visit www.gram.gs. Since its founding in 2007, Zynga’s mission has been to connect the world through games. To date, more than 1 billion people have played Zynga’s games across web and mobile, including FarmVille, Zynga Poker, Words With Friends, Hit it Rich! Slots and CSR Racing. Zynga’s games are available on a number of global platforms, including Apple iOS, Google Android, Facebook and Zynga.com. The company is headquartered in San Francisco, Calif., and has additional offices in the U.S., Canada, U.K., Ireland, India, Turkey and Finland. Learn more about Zynga at https://www.zynga.com/ or follow us on Twitter and Facebook.